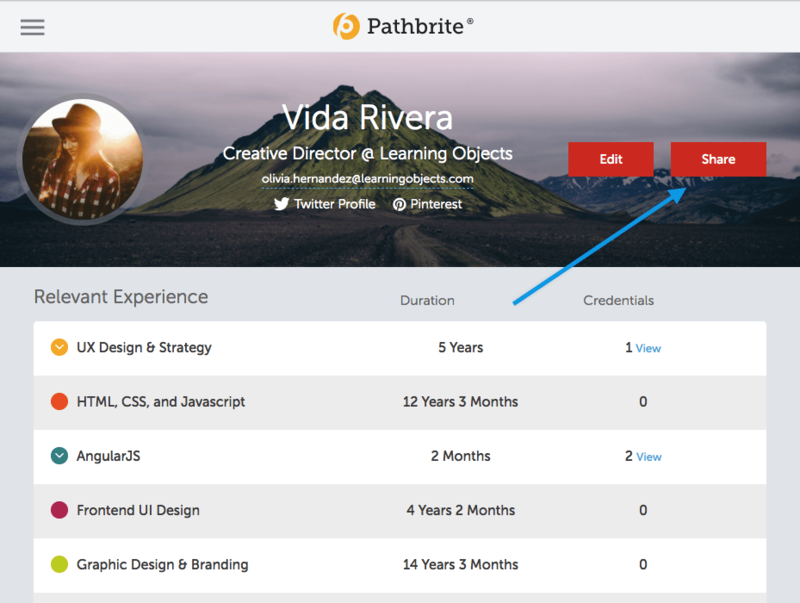 To share your resume click the red Share button at the very top of your portfolio. 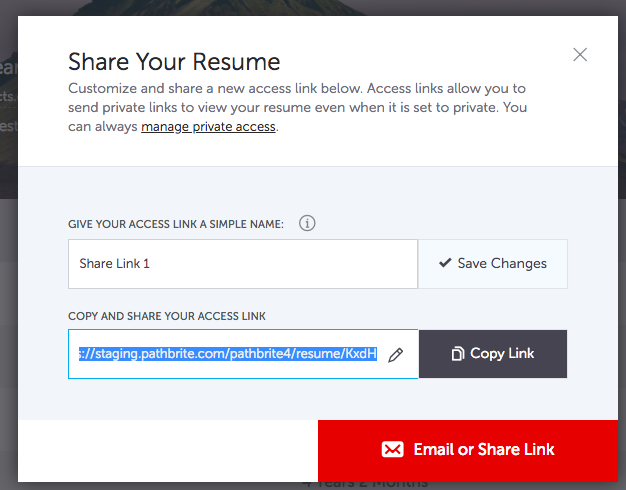 This will allow you to create a custom URL for your resume and to share it out with individual email addresses or make it completely public and share directly to Facebook or Twitter. 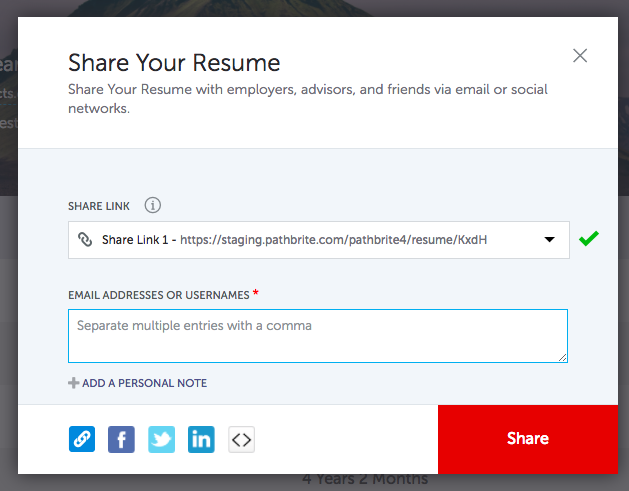 From here, you can share your resume with individual email addresses/usernames, or share your resume on Facebook or Twitter. 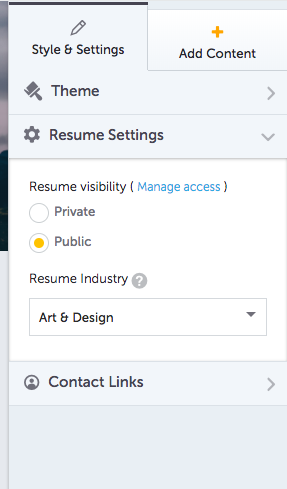 You can choose whether you want to make your resume completely public and private and shared only with those individuals you choose to share it with.